For many older people retaining free bus travel is a priority issue. Recently the National Pensioners Convention gathered 150,000 signatures calling for the retention of the bus pass and presented them to 10 Downing Street as part of their ‘Love the Bus Pass’ campaign. Passion about protecting free bus travel is unsurprising given the tremendous difference it has made to the lives of millions of older people given the freedom to travel. But as well as the direct benefits to older people concessionary bus travel has enormous social and economic benefits for everyone. The case is convincing, as set out by Greener Journeys who show that every £1 spent on free bus travel generates over £2.87 of benefits for society and the wider economy. Age UK was delighted to take part in the launch of its new report Bus 2020: The Case for the Bus Pass, which reflect Age UKs own views on the value of concessionary travel. Bus travel is a key issue for older people for obvious practical reasons. Many rely on it for everyday trips to the shops and to visit friends and relatives. For others it allows involvement in voluntary work, the provision of child care and care for dependent relatives. These activities contribute to spending in shops and on local services. 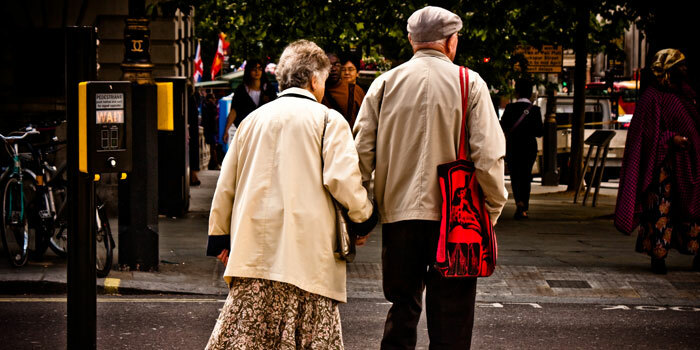 Voluntary care, provided by older people, saves the social care system billions every year. Critically, for many, the bus is the only means of transport to get to a GP or hospital appointment. The current ‘rationalisation’ of services means that older people may have to travel much longer distances to obtain the health care they need. Free transport plays a major role in preventing the devastating impact of loneliness and isolation and in promoting mental and physical health and wellbeing. Bus networks, especially in rural areas, help older people to get out and about and remain engaged with their local community, while helping people remain independent and reducing the demand on health and care services. Encouraging older people to use buses helps to make the bus networks sustainable for everyone and pushes forward innovation and quality in the delivery of passenger services. Older people often act as ‘bus champions’ by encouraging more of us to reduce car use and hop on a bus. This is vital at a time when we need to do more to address road congestion and lower air pollution. Reducing car use, where possible, and making more use of public transport should be an objective for all of us, regardless of age. But as part of this, the bus pass can also specifically help older drivers who choose or need to make the transition to giving up driving altogether. There are calls to target subsidies to the most vulnerable low income groups. Clearly, there is a strong case for extending concessions to younger people in low paid jobs who are struggling to make ends meet. But this should not be at the expense of older people. Limiting the scope of the bus pass would be counterproductive and is unnecessary. Age UK research shows that it tends to be lower income groups who take up the bus pass in the first place – there is already a process of self-selection. Means testing would create unnecessary divisions without delivering any of the wider benefits set out by Greener Journeys. The bus pass has limited use where routes have been cut altogether. There are no doubt challenges for local authorities in rural areas, but the availability of public transport is vital to many older people, and should be at the forefront of decision making. There needs to be longer term planning over how transport can operate successfully in the context of an ageing population. Some of these issues are explored in the International Longevity Centre and Age UK recent report Community Matters. Accessible and integrated transport systems should be a key component of age friendly places. We need an inclusive approach so that the built environment, local shops and services and health care facilities are integrated into transport routes and timetables. This would allow more older and disabled people to remain active citizens, which benefits all of us. the bus pass for the elderly should be maintained at all costs, this is not just a bus pass, it is a lifesaver for some people, a means of leaving the house to go to the shops,doctors, opticians etc, it is a means of being able to socialise with friends,groups etc, maintain independence ,it is an essential part of an elderly persons “Kit” to take it away from them would be a criminal act, imagine being stuck in the house, same four walls, because you cannot get the bus, problems then with socialising, access to doctors etc, depression can soon set in ,lonliness it must be kept at all costs 1 the pesnioners of this country do not ask for much ! this is one of the most important things they can have, please preserve it for them ! !